He was born in Hawaii but was raised in Norwalk, Iowa, by his mother. His mother is of Irish, German, and Native American ancestry, while his father is of Native Hawaiian descent. After completing his high school, he enrolled at a college in Iowa as a Major in Marine Biology and later dropped out to study wildlife Biology at Colorado State University. He travelled a lot when he was young; he learned pastel painting in Paris and the teachings of Buddhism in Tibet. He was discovered by Takeo Kobayashi, an international designer, in 1998. In 1999, he won Hawaii’s Model of the Year. He also hosted Miss Teen Hawaii Contest. Before coming into the entertainment industry, he used to work part-time in a surf shop. In 1999, he was cast as Jason Loane in the show, Baywatch Hawaii and worked in the show till 2001. In 2003, he reprised the role of Jason Loane in the television film, Baywatch: Hawaiian Wedding. The same year, he appeared in another television film, Tempted. He was part of many popular television series like North Shore, and Stargate: Atlantis. On November 15, 2008, he indulged in a fight at the Bird Cafe in Hollywood where he suffered a cut on his face. A man attacked him with a beer glass and slashed his face; he got seriously injured and suffered 140 stitches. The scar is still visible on his face. The breakthrough of his career was the show Game of Thrones. 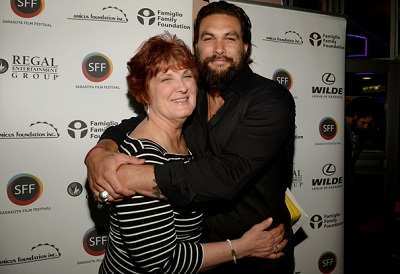 He played the character of Khal Drogo, which became very popular after the show aired in 2011. The show was a huge success, and his stocks leapt after then. In 2016, he portrayed the DC’s superhero, Aquaman in the movie, Batman V Superman. In 2017, he again reprised his superhero character, Aquaman, in the movie Justice League. After playing Aquaman in two movies, in 2018, he again played the superhero in his character’s spin-off, titled, Aquaman. He also has a youtube channel with the same name.